For many crops the preferred storage method negates the need for a root cellar. Anything that is canned, dried, or frozen can be kept right in your kitchen without any change from store bought groceries. However there are some crops that are stored fresh but require specific conditions. Things like winter squash, beets, and cabbages would have traditionally been kept in a root cellar. Unfortunately most modern houses don’t include that feature. Unless you’re ready to invest in building one, a little creativity can help keep your winter produce without a lot of effort. Root clamps are an old way of storing vegetables underground without an actual root cellar. They’re simple holes in the ground to store cabbages, potatoes, and other root vegetables. The vegetables can be layered with straw or hay, keeping a thick layer between them and the dirt to keep out any frost. On top is an especially thick layer followed by a couple whole bails to cover the top. You also want the straw or hay to be between each individual vegetable. Today some people add an old cooler or clean trash can as a liner for the root clamp. Coolers however are not deep enough to avoid frost in cold climates. Keep it in the garden. 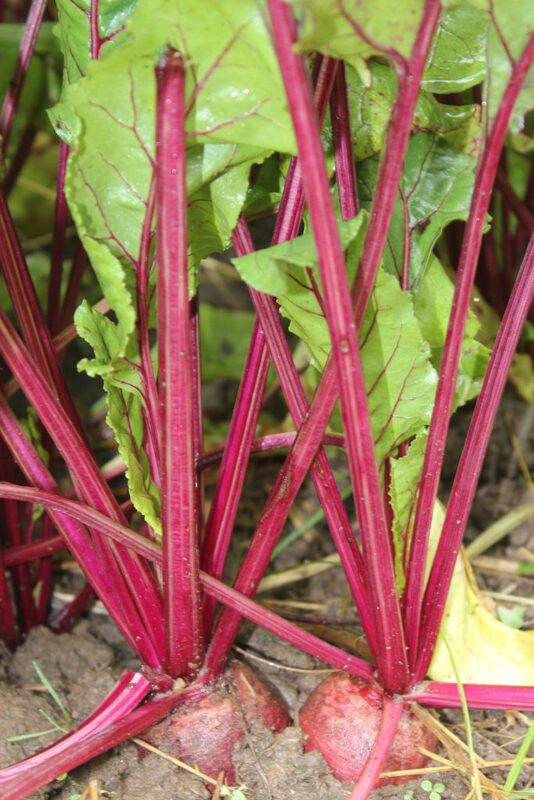 In places where the ground doesn’t freeze very early storing root crops right in the garden can be an excellent choice. For crops like beets, carrots, turnips, potatoes, and radishes just leave them in their bed and cover them with a good amount of hay or straw. They can then be dug as needed. You can also grow greens and brassicas through the winter by using cold frames, row cover, or backyard hoop or green houses. Utilize cool places in your home. Whether it’s a garage, a basement, under a bed, a certain cabinet, or a closet many of us have a spot in our home which stays rather cool. Crops like sweet potatoes, onions, and squashes that prefer cool, dry storage can just be stuck in baskets in these places. They will last longer if they aren’t piled up too much and have good air circulation. Fruit crops like storage apples and pears can also be stored in this manner. However many people advise wrapping each individual fruit in newspaper to help them keep longer and discourage any rot from spreading. Crops like potatoes, carrots, beets, and other roots that need damper conditions can also be stored in these same places. For these crops you’ll need containers and a packing material like shredded newspaper, straw, or sand. This material should then be kept damp (not wet!). You can use a spray bottle to add moisture as needed. You should trim the tops off the vegetables leaving about 1/2 inch then layer them in your container with your material in between so that none are touching. Cabbages can be stored with their roots in damp sand or in just a basket like squash. They do better in damper places than squash does though. Root crops can also be refrigerated. For those with leafy tops trim the leaves to 1/2 inch. Potatoes also store well in the refrigerator. Some squash, onions, and soft neck garlic store fairly well at room temperature and can double as some farmhouse type decor. Squash looks great on fall table settings and onions and garlic look gorgeous braided and hung in the kitchen or pantry. It’s important to note that none of these methods are leave it and forget solutions. Even with a proper root cellar it’s important to periodically go through your produce and check for ones that are starting to rot or mold. If you don’t remove them the rot will spread to the rest hence the saying, “one bad apple can spoil the bunch.” Ideally you can catch them while they’re still useable. You should also pay attention to your different varieties. 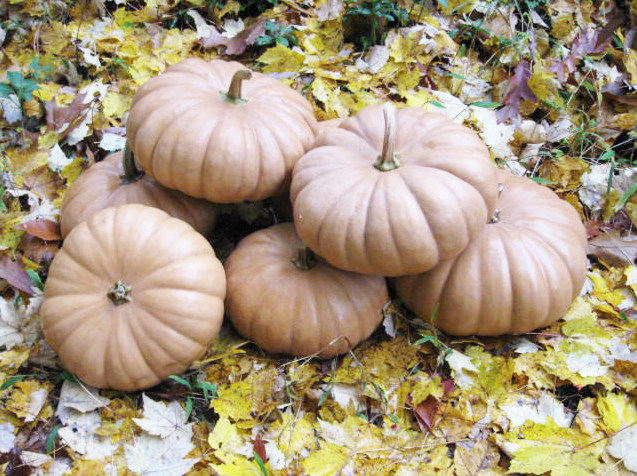 From radishes to pumpkins different varieties have different storage capabilities. using varieties in order of how long you can expect them to keep is just another part of gardening and seasonal eating. While these methods may not be as idyllic as a farmhouse root cellar they can work just as well. Keeping food properly in storage can help you save money on groceries, give you more self-sufficiency, and lessen your environmental impact. So pack your carrots in a container in the closet or store baskets of sweet potatoes under your bed, and stock that winter larder!